Supercars is talking to Network Ten to investigate ways to further integrate the championship on the station and decrease gaps between live free-to-air events for 2019. The series’ current media rights deal with Fox Sports and Network Ten sees the latter broadcast seven of the 16 championship rounds live and free, with a 60 minute highlights show produced for the remaining races. Fox Sports has the exclusive rights to televise every session of the season live under the $241 million TV deal, which began in 2015 and expires at the end of 2020. Ten currently broadcasts live from the season opening Adelaide 500, Formula 1 Australian Grand Prix (Coates Hire Melbourne 400), Watpac Townsville 400, Rabble.club Sandown 500, Supercheap Auto Bathurst 1000, Vodafone Gold Coast 600 and the Coates Hire Newcastle 500 finale. 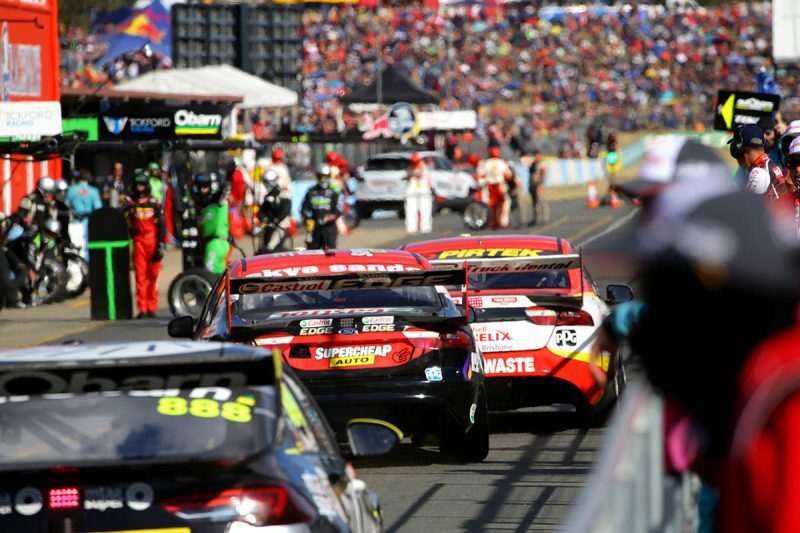 The current schedule sees a gap of more the three months between live broadcasts from Albert Park in March to Townsville in July, which is too long in the eyes of Supercars CEO Sean Seamer. Gaps between other events are a lot less with the next largest being the 10 weeks from Townsville to Sandown, held from September 14-16. “We’re dark too long on Channel 10 I think, and we’ve got our highlights, but between AGP and Townsville, we’re not live on Ten,” Seamer told Speedcafe.com. 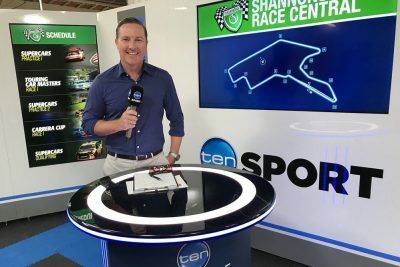 To keep the series more visible on Ten, the championship is actively working with the station’s new head of sport and long-time Supercars host and commentator Matt White. In addition to the motorsport magazine show RPM, Supercars drivers have featured on Ten’s entertainment shows in recent weeks, notably Scott McLaughlin, who appeared on The Project during the Sydney SuperNight 300 round. This week David Reynolds made a guest appearance on the popular panel show Have You Been Paying Attention. “Having Matt White in that role, as well as the support of Channel 10, has definitely helped, and we’re looking to work with him and integrate with him a lot more,” added Seamer. Meanwhile, discussions regarding the championship’s next media rights deal are yet to begin, but Seamer says he is happy with the current deal between Fox and Ten. “No, they (talks) haven’t (begun),” said Seamer. “I said we’ll talk to people, but there’s a lot going on in the media market right now, and we said earlier on in the year that we would let Fox and our partners go through what they needed to go through, and they continue to do it. Network Ten was awarded a TV Week Logie Award last month for its coverage of the 2017 Supercheap Auto Bathurst 1000. Meanwhile, Supercars reported that its recent Sydney SuperNight 300 recorded a significant increase in television figures on Fox Sports with the Saturday coverage 17 percent up on last year’s numbers.